Meet Miguel Calderon. He is a retired construction worker, his highest level of education is completing the sixth grade, and he may have been an unwitting victim of a pyramid scheme. Calderon, a 68-year-old who lives in a working-class area near Chicago, heard of the company Herbalife from a friend back in 2008. He then met with a distributor of Herbalife Ltd., Cesar Caballero, at his nutrition club – an establishment where Herbalife distributors gave out free samples, enticed customers to buy their nutrition products, and even encouraged them to become distributors as well. After sampling the products for himself, Calderon decided to sign up as a distributor of Herbalife and opened his own nutrition club to sell his stock. He was excited to start and gladly paid the initial $1,300 for such products as protein shake powder and a marketing DVD. According to Herbalife’s policies, distributors stood the chance to double their investment since they only had to pay 50% for Herbalife products, and they could then sell off those products to customers at full retail. Over the course of the next year, Calderon paid Herbalife an additional $7,000 on top of the $1,500 fee he had to pay each month. After about a year and half, Calderon was out $30,000 due to the nutrition company and his club had stacks upon stacks of unsold protein shake powder. It wasn’t due to lack of trying – customers would often sample the nutrition shakes and refuse to actually order any due to Herbalife’s exorbitant prices. Pyramid Scheme or Individual Failures? 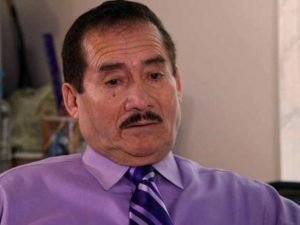 Now, Calderon is among at least 16 individuals of Latino descent in the Chicago area who have filed complaints with the attorney general, claiming that Herbalife cheated them into buying thousands of dollars worth of products that they wouldn’t be able to sell. You’ve probably heard of pyramid schemes before. But just a quick refresher: basically, pyramid schemes take money from new recruits, and all that money serves to enrich the people at the top. So was it Herbalife’s fault or the individual distributors? Well, the spurned distributors have produced various documents, including order receipts and bank records, that may support their claim that it’s Herbalife’s fault. They’re also backed up by a hedge-fund manager that supports their accusation of Herbalife conducting a pyramid scheme, and has even accused Herbalife of taking advantage of undocumented Latinos, such as Calderone. Since many of these distributors spoke very little English and had limited education, the company was easily able to exploit them and get them to sign on. Calderone is one example of this practice, as he said that he had some difficulty reading his Herbalife distributor contract and relied mostly on Cabellero’s explanation to understand it. If an employee becomes aware of any unethical behaviour within their own workplace; whether it be fraud, racial bias, or otherwise; the best course of action is to report it as soon as possible – before it’s too late. As an employer, you should avoid following Herbalife’s example and ensure that you have a company code of conduct policy that is easily understood, read, and signed by all of your employees. Having a independent ethics reporting company like WhistleBlower Security on your side where employees can report on any type of behaviour goes a long way to ensuring all of your employees are experiencing the same type of job satisfaction. Our tools enable the reporting of any type of wrongdoing and your employees can feel secure that whatever they feel they need to report on, they can do so with complete confidentiality and anonymity.